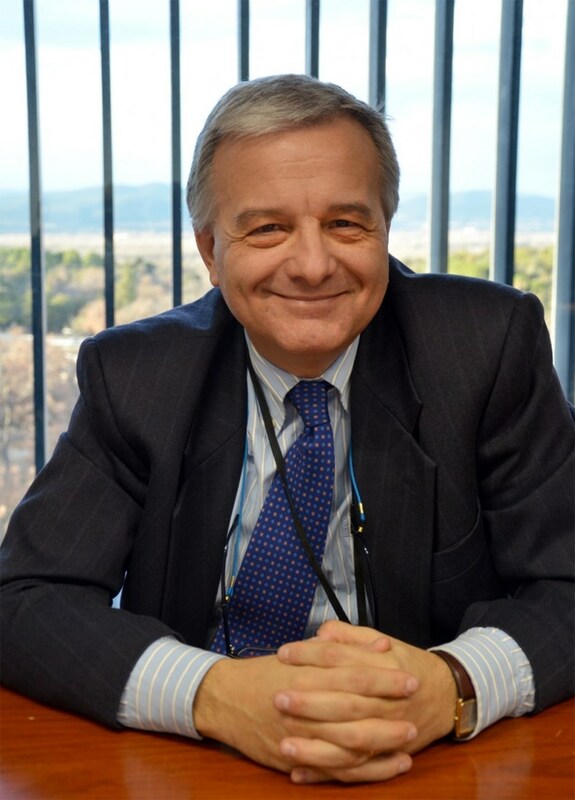 Ready to work within tight schedules and budgets: Sergio Orlandi arrived on 28 January to head ITER's Central Engineering and Plant Directorate. Two weeks into the job, and Sergio Orlandi feels like a young man again. Despite taking on the challenge of leading ITER's Central Engineering and Plant (CEP) Directorate at a point in his professional life when most people would be starting to think of slowing down, Sergio feels literally invigorated by the 12-hour days of his first weeks in office. "Before applying for the job, I asked myself, 'Can I still do it? Can I get involved in this good, most important challenge that is fusion at this point in my life'? And the answer was, of course, yes. I feel ready for a new challenge." In a sense, it's his family history repeating itself. He saw his father start over at age 50 after the family was forced to leave Libya (Sergio was 14 at the time). "This example has always stayed with me and has been a strong force in my life. I saw my father reinvent himself, and now I, too, am beginning over. For me, a new beginning is synonymous with youthful energy, with renewed motivation." Sergio comes to ITER from Ansaldo Nucleare (Genoa), the pre-eminent nuclear service company in Italy that he joined as a young nuclear engineer and whose ranks he progressively scaled to become project manager, technical director and finally—for the last seven years—chief operating officer. Thirty-three years in the nuclear fission business in contact with the most sophisticated technologies of the day, and a career that took him around the world: Argentina, China, Slovakia, Ukraine, Romania, Lithuania, Russia, Bulgaria, Hungary, Pakistan, Egypt, Turkey and US. Deeply involved in the technical issues of the nuclear business but also in charge of managing deadlines, cost control and quality. It is this industrial culture that he is bringing to his new position at ITER. Although he describes himself as first and foremost a technical man, his experience as a manager will be an asset when it comes to meeting the demands of a tight schedule and a tight budget. Another asset? Even as he worked in fission, Sergio remained abreast of developments in fusion and ITER. Back in the 1990s, as companies in Italy were divesting from the nuclear industry in the aftermath of Chernobyl, Ansaldo took over the preliminary design of ITER's primary heat transfer system. Ansaldo was also part of the consortium chosen by the European Domestic Agency to build the mockup divertor and the seven European sectors of the vacuum vessel; Sergio directed all of these projects, interacting with ITER team members who are now in offices only a few doors from his own. And, coincidentally, the primary heat transfer system falls under CEP responsibility—making it feel a little bit like "coming full circle." Since arriving on 28 January, Sergio, who speaks Arabic, Italian, English and French, has toured the three Divisions in his Directorate, getting to know the people and listening to the status of projects and contracts. "Highly impressed with the work accomplished," he already has an idea of the priorities: cost control, careful management of contracts, and respect of deadlines. Sergio begins every day with a 30-minute meeting with the Budget Technical Officer of his Directorate. "A lot of money has to be managed—this is familiar to my experience and culture," he says. "I also believe that we have to manage our contracts very closely." Sergio has asked for the implementation of penalty clauses in all contracts, as a tool to enforce the respect of contract deadlines and dates. "The ITER Organization is not only a research organization, it must also be a production organization," concludes Sergio, who is looking forward to bringing his industrial point of view to bear in the next phases of design completion and fabrication. "For attention to cost and attention to quality, I will be the guardian in my Directorate."